If you want to enjoy a unique outdoor fun in Branson, try to play disc golf, a combination of Frisbee and golf game. This exciting outdoor game is perfect for the whole family and friends who want to spend a fun day in Branson. Disc golf is played much like the traditional golf game. Instead of a ball and clubs, players use a flying disc or Frisbee. The kind of sport was formalized in the 1970s, and shares with “ball golf” by completing each hole in the fewest strokes (or in the case of disc golf, fewest throws). A player in this game throws a golf disc from a tee area to a target which is the “hole”. The hole is one of a number of disc golf targets, the most common is called a Pole Hole, an elevated metal basket. Disc golf is a unique outdoor fun in Branson that can be played from school age to old age, making it one of the greatest fitness sports available. Even persons with disability can participate in this kind of game, giving them the opportunity to take part in a mainstream activity. Everyone can play disc golf as it’s easy to learn the game. The Professional Disc Golf Association has 97,000 members in 47 countries. The association is the governing body for the sport and sanctions competitive events for men and women of every skill level from beginner to professional. There are thousands of permanent disc golf courses that can be found across the globe. Many of the cities have parks and they are free to play as often as you like. Disc golfers usually have no permanent disc golf facility in their area and they often make up courses in nearby parks and green spaces. Disc golf has some similarity with the traditional golf game as they are both played in beautiful settings. A nine-hole disc golf course can be established on as little as five acres of land, while the championship 18-hole golf course need to be played on 30 to 40 acres. 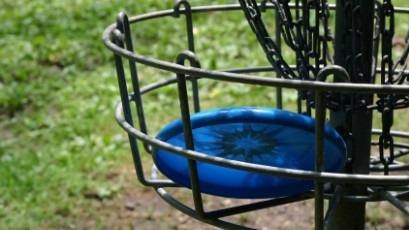 Disc golf courses can easily be enjoyed in an existing park facilities and activity areas. Disc golf is a combination of Frisbee and golf game perfect for the whole family and friends who want to improve their health and quality of life.